This statistic shows number of total and repeat Kickstarter crowdfunding project backers as of April 2, 2019. As of that month, close to 16.01 million people had pledged their monetary support towards any of the 439,891 launched Kickstarter projects. Nearly 5.24 million people had backed more than one project on the crowdfunding site. 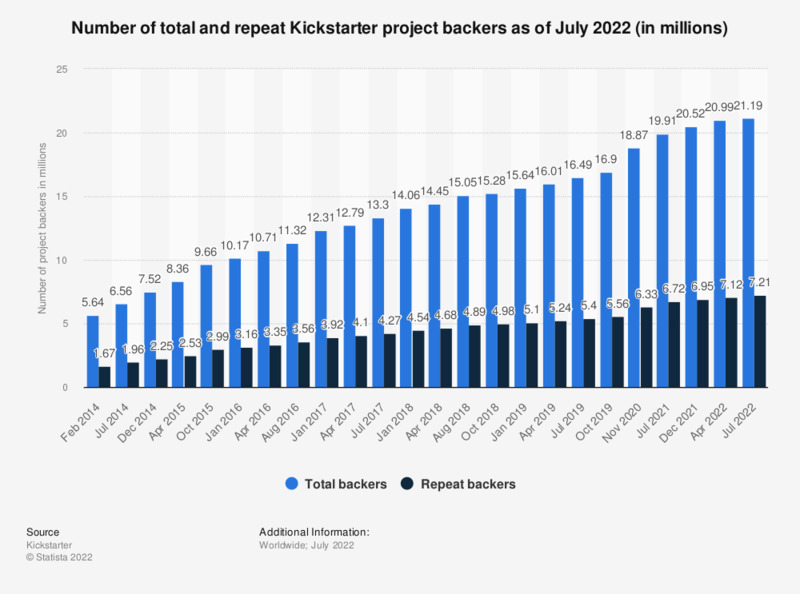 From July 2012 to April 2019, a total of more than 4.2 billion U.S. dollars had been pledged to projects on the Kickstarter crowdfunding platform.